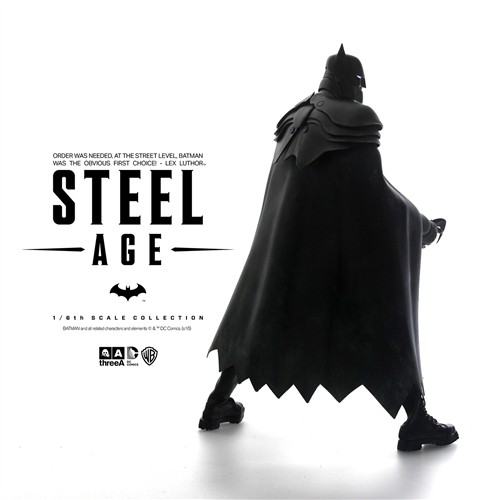 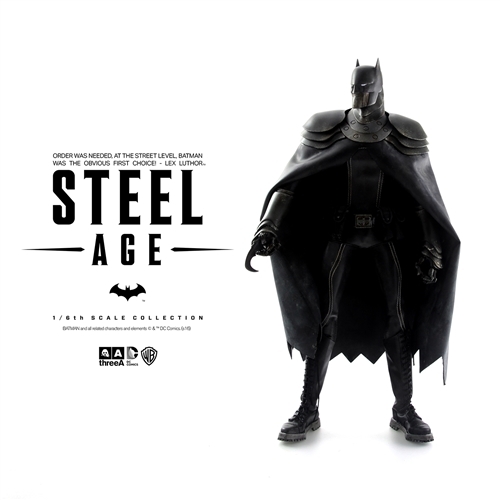 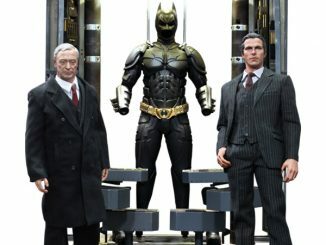 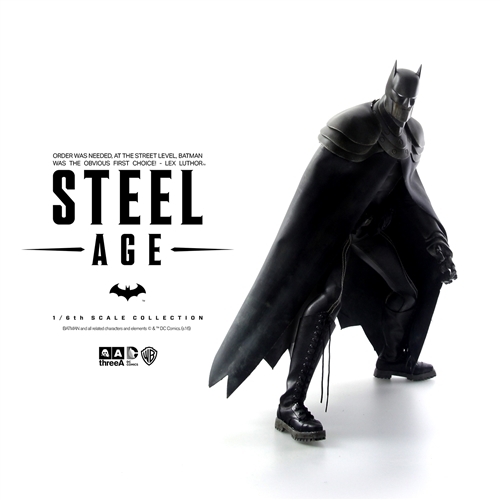 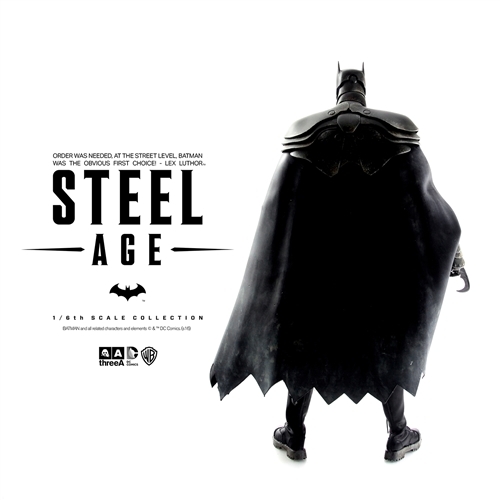 The Dark Knight becomes a robotic suit of armor with the Steel Age Batman Sixth-Scale Figure, proving that Gotham City will be protected even after Bruce Wayne is gone. 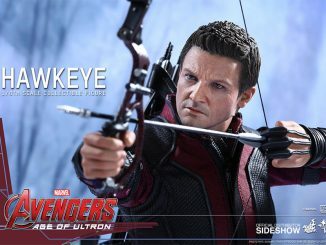 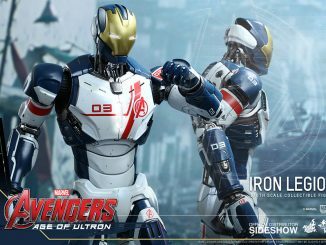 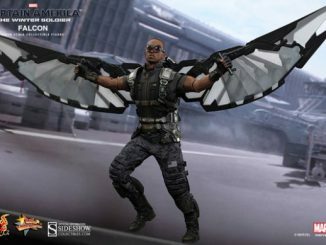 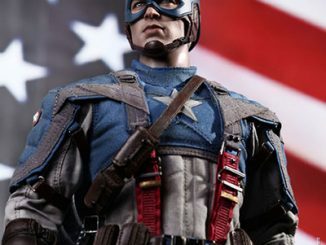 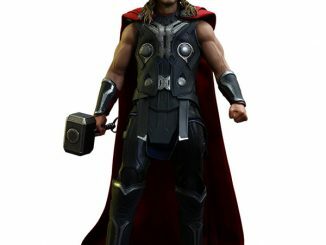 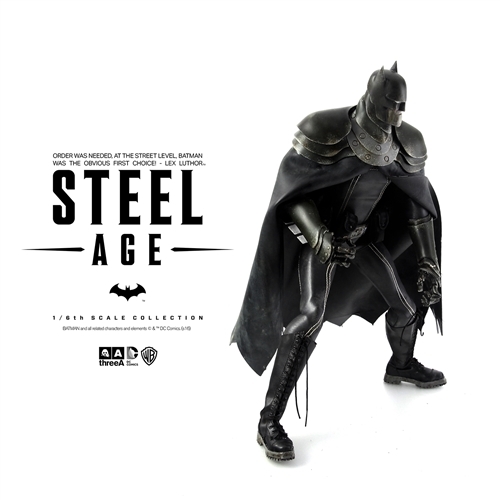 Welcome to the Steel Age, where the superheroes of the world have been replaced by robotic counterparts. 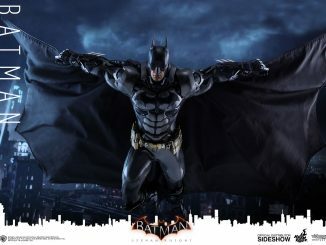 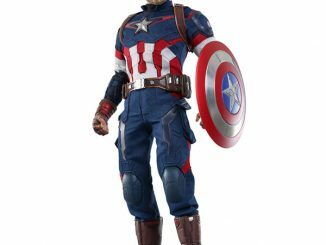 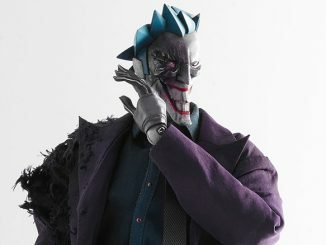 Designed by Ashley Wood and standing 13 1/2-inches tall, this officially-licensed vigilante features 50 points of articulation, comes with 2 batarangs, and even has LED-illuminated eyes. 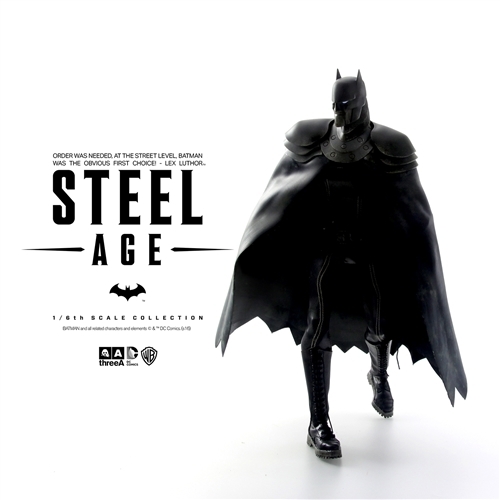 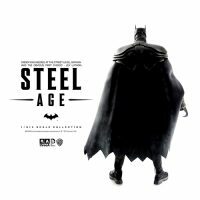 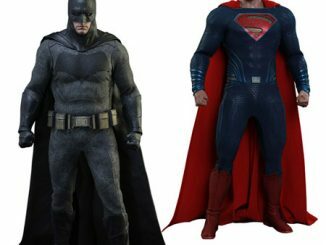 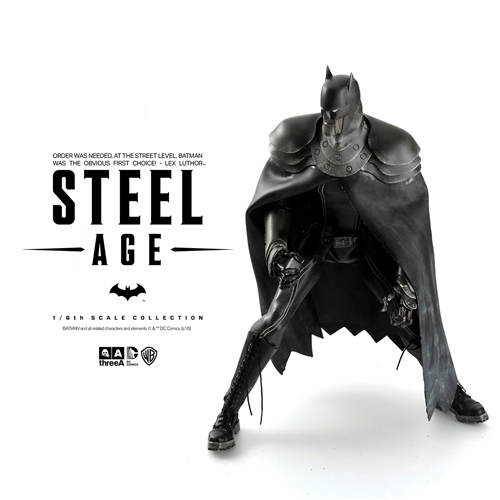 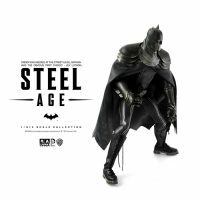 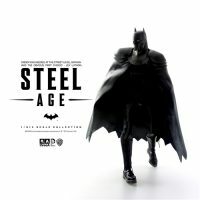 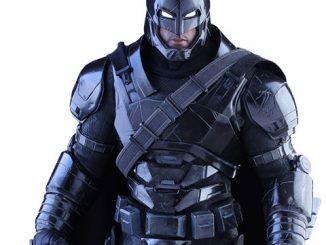 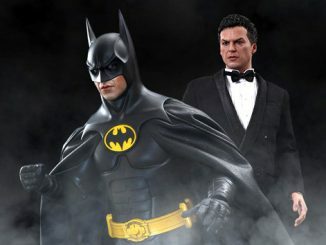 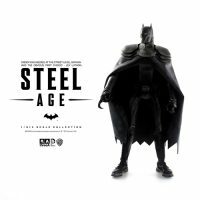 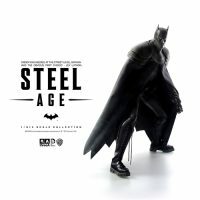 The Steel Age Batman Sixth-Scale Figure will be available 3rd Quarter of 2016 but it can be pre-ordered now for $240 at Bambaland.